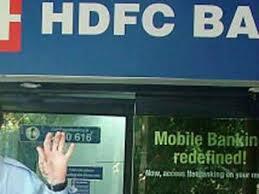 HDFC Bank will now disburse personal loans to its customers in just 10 seconds. With this product, existing customers will have a pre-approved loan amount available to them 24x7. "The entire process to avail of the loan is completely paperless, and users can simply log into their bank account via net-banking or mobile banking and avail of this loan at a click," HDFC Bank said. The bank claimed that it is the first institution in the retail lending space to completely automate the entire process of loan approval and disbursement. "The 10-second loan is completely hassle-free and transparent and users will no longer have to wait for disbursement of funds, particularly in medical or other types of emergencies where there is an urgent need for cash," it said. "It is like having a real cheque in one's virtual wallet and is part of our mission of enabling customer delight by creating simple and speedy banking solutions that are available at a click," said Arvind Kapil, business head - unsecured loans, home & mortgage loans, HDFC Bank. "Customer convenience lies at the heart of our digital initiatives and we have noticed growing demand from digitally-savvy customers to avoid paper-work and to accelerate processes," he said. "Most customers expect banks to connect the dots between online and offline options to deliver convenient, consistent service," he stated. The 10-second loan is the latest initiative in HDFC Bank's digital banking offering christened 'GoDigital'. This campaign began in Varanasi last year with the launch of its 'Bank Aap Ki Muththi Mein' offering, which literally converts the mobile phone into a bank branch. Since then the bank has launched a host of digital initiatives. "The move is part of our transformation into a digital bank which inlays digital solutions all through its value chain," Kapil said. "This means building significant efficiencies in the back-end and streamlining of processes that are central to delivering an enriched customer experience at the front-end," he said. At the end of 2014-15, 63% of all transactions at HDFC Bank were conducted through digital channels. Thank you so much for taking an effort to share this with us. This will be really helpful. Do share such informative posts.